The refuge, located on the Texas-Mexico border about 10 miles southeast of McAllen in the Rio Grande Valley, is known as one of the top birding destinations in the country. 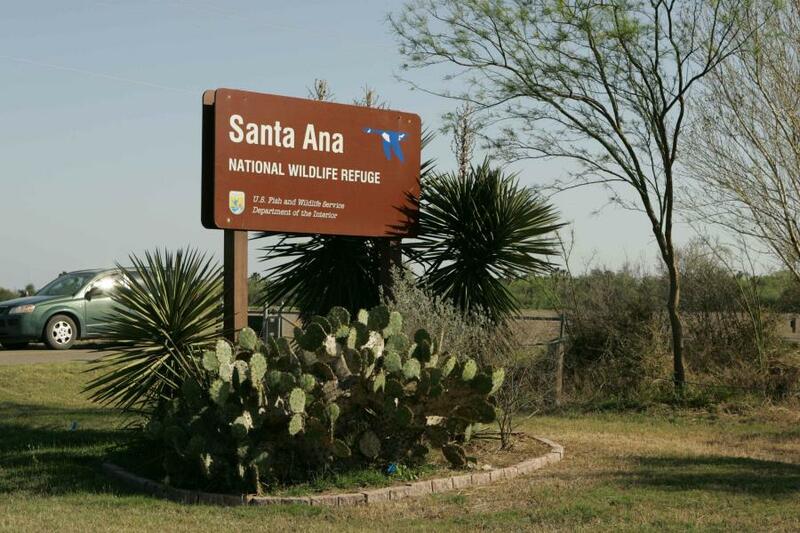 U.S. Customs and Border Protection, working with private contractors, is preparing to build the first part of President Trump's promised border wall through the Santa Ana Wildlife Refuge in South Texas, according to a report Friday. The Texas Observer, citing a federal official, says construction of the wall on the property of the 2,088-acre refuge could begin as early as January 2018. The official said the government chose to start building the wall through the refuge because the property is owned by the federal government, meaning the Trump administration won't have to negotiate with private landowners. At least 95 percent of the 1,241-mile Texas border is privately owned. Customs and Border Protection plans to build an 18-foot levee wall through three miles on the wildlife refuge, the Observer said. A reporter for the Observer on Friday witnessed workers drilling into the existing earthen levee on the wildlife refuge and extracting soil samples to prepare for construction. The federal official told the Observer that if the government builds the levee wall, it would jeopardize the refuge. In addition to the levee wall, the proposed plan would include the construction of a road south of the wall and clearing refuge land on the sides of the wall for surveillance, cameras, and light towers. A spokesperson for Customs and Border Protection would not confirm the plan for a wall at the wildlife refuge. But he said there have been preliminary meetings for projects specified in Trump's fiscal 2018 budget request. "CBP has prioritized 28 miles of new levee wall system in Rio Grande Valley, 32 new miles of border wall system in the Rio Grande Valley, and 14 miles of replacement secondary barrier in San Diego," the spokesman, Carlos Diaz, wrote to the Observer in an email. A must-pass Homeland Security funding bill proposed by House Republicans this week includes $1.6 billion to fund the beginning of Trump's border wall. The Republican-controlled Congress did not provide new money for a border wall in a spending bill it passed in May, instead giving money for technology at the border. Lawmakers in both parties, especially those representing border states and districts, have questioned whether a wall is the best approach to securing the border, noting the cost and complications in securing rights to land to build on.